California Attorney General Jerry Brown (D-CA) after receiving the Endorsement of the California Democratic State Party at their annual State Convention has gotten a little Bounce to lead former EBAY CEO Meg Whitman (R-CA) by 6 Points. Both Candidates were TIED at 40 % last month in the same Poll. This is probably just the Convention Bounce Brown got. Every credible Candidate would get this. This Race is probably going to revert into a Toss-Up again. Anyways…….. the more interesting Race seems on the Senate Side with Incumbent Senator Barbara Boxer (D-CA) maybe losing her Senate Seat. And will most probably win this give Arnold’s numbers as a Republican in the heart of an economic downturn…..
Again…I don’t like Boxer..but Obama came to town a few days ago and earned her a good amount of running money…..
Daniel……California: Third straight Poll puts Whitman ahead of Brown; Whitman, Campbell lead Republican Primaries…. Third straight Poll finds Whitman edging Brown. A new Statewide Survey in the Golden State commissioned by the Los Angeles Times and conducted by Pollsters from Greeberg Quinlan Rosner (D) as well as American Viewpoint (R) finds former Ebay CEO Meg Whitman (R-CA) edging out Attorney General & former Governor Jerry Brown (D-CA). Whitman also leads the Republican Primary over State Insurance Commissioner Steve Poizner (R-CA) by a whopping 40-Point margin. In the Senate Race Republican Primary former U. S. Rep. Tom Campbell (R-CA) has a slim lead over former HP CEO Carly Fiorina (R-CA). 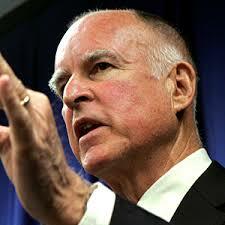 Daniel…..California Governor: POLL SHOCKER; Whitman surges ahead of Brown…..
Well, what a POLL SHOCKER this morning. This really took me offguard. A new Statewide Survey in the Golden State shows former Ebay CEO Meg Whitman (R-CA) has surged ahead of former Governor Jerry Brown (D-CA). Folks, this isn’t just a usual Poll. This is Field Poll, the most reliable Poll in the State of California. Field in California is what the NBC News / WSJ Poll is nationally. Note to Readers: The Senate Portion of the Field Poll is expected to be released tomorrow. Whitman leading Brown could spell massive trouble for Democrats not just in California but also nationally. 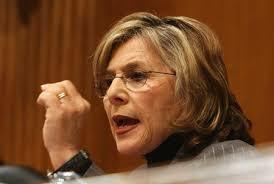 It also could spell huge trouble for Senator Barbara Boxer (D-CA). We’ll see tomorrow. 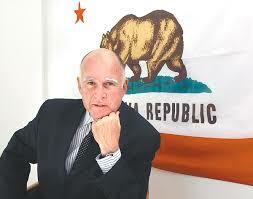 From Daniel G……California Governor: Brown to declare formally tomorrow…. We’ve BREAKING NEWS out from the Golden State. CNN has learned that former Governor & current Attorney General Jerry Brown (D-CA) will formally launch his Gubernatorial Campaign tomorrow. Atty. Gen. Jerry Brown will formally announce Tuesday that he is running for governor, a job he last held nearly three decades ago, according to a source close to his campaign. Brown, 71, an Oakland Democrat who does not face any serious primary election opposition, is expected to make his announcement online. He served two terms as California’s governor starting in the 1970s but is eligible to hold the office again because today’s term limits were not in effect when he first occupied the Capitol. Brown, an enigmatic political figure whose father, Pat Brown, also served two terms as governor, is seeking to regain the state’s top job near the end of a long political career. He has won elections to the posts of secretary of state and Oakland mayor, besides his current job; waged three failed presidential runs and lost a bid for Senate. 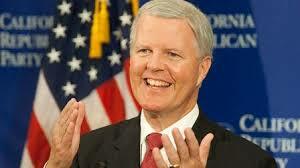 Brown has also served as the state Democratic Party chairman. Though he had been plotting this run for two years, Brown had resisted making it official while two would-be Republican contenders have openly battled for their party’s nod. The winner of that primary contest in June, whether it be former EBay chief Meg Whitman or California Insurance CommissionerSteve Poizner, will have substantial personal wealth with which Brown will have to contend in the general election. 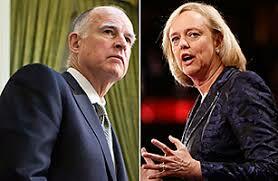 Ex-EBay chief Meg Whitman has closed on Jerry Brown in polls. The GOP gubernatorial candidate, a hard-nosed ex-CEO, tried to push a rival from the race and threatened labor leaders with retaliation if they funded attacks against her. But the moves carry risks. 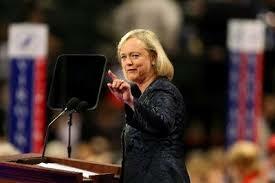 Meg Whitman is campaigning for governor as a political outsider, but behind the scenes she is playing classic political hardball in her quest for the Republican nomination. She tried to push her chief GOP opponent, Steve Poizner, out of the primary contest with a consultant’s threat to wage a negative ad campaign that would destroy his career. Her advisors have worked, with some success, to siphon away Poizner supporters, orchestrating calls by former Gov. Pete Wilson and others for the party to unite — four months before the primary election — behind her candidacy. And Whitman’s team warned labor leaders that if they gave money to Democratic operatives planning to attack her, the billionaire candidate would respond by spending millions to qualify a ballot initiative that would make it harder for unions to use dues for political purposes. Observers say Whitman’s embrace of rough-and-tumble politics should surprise no one, given her track record as the hard-nosed former chief executive of EBay. Asked about the tough moves by Whitman and her aides, her spokesman, Tucker Bounds, said her campaign “is committed to putting her in the most effective position” to explain her vision for improving California. He said talking to voters is her main focus. Political analysts say Whitman’s use of her wealth to intimidate her opponents — she’s moved $39 million of her own money into her campaign — can backfire if voters believe she is trying to buy the election. Wealthy executives have won as political newcomers elsewhere but have largely failed in California.